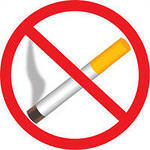 It`s time to give up smoking forever! Since September 2013 everyone wants to quit smoking have unique opportunity to get rid of the addiction once and forever. This option will appear thanks to the company Happy.co, which presents new to the market product so as Notobacko, consuming that have quit smoking disappears physical dependence on nicotine and become easy to give up this bad habit. The system is the sixth in the company's range of products Happy.co cell nutrition and natural healing of the human body. A feature of this system is that besides the fact that the smoker can give up smoking, the system Notobacko of Happy.co company make healthier body by purifying the cells of accumulated toxins in them. The system was developed on the basis of Notobacko Orohronodietology, which is a strong argument effectiveness. Substantial help in getting rid of the bad habit has regular contact with experts smoking French laboratory of Professor Gaetano Zannini, who can help at every stage of deliverance. The course of the consumption of the program is three months in a row. If you want to quit smoking or in your environment are those people, we invite you to participate in this program. Advise to use this opportunity to your friends and acquaintances, and they will be very grateful to you.